Bobbleheads aren’t always about cashing in on a popular player or mascot. Sure, those are easy promotions, but sometimes, it can mean a lot more. 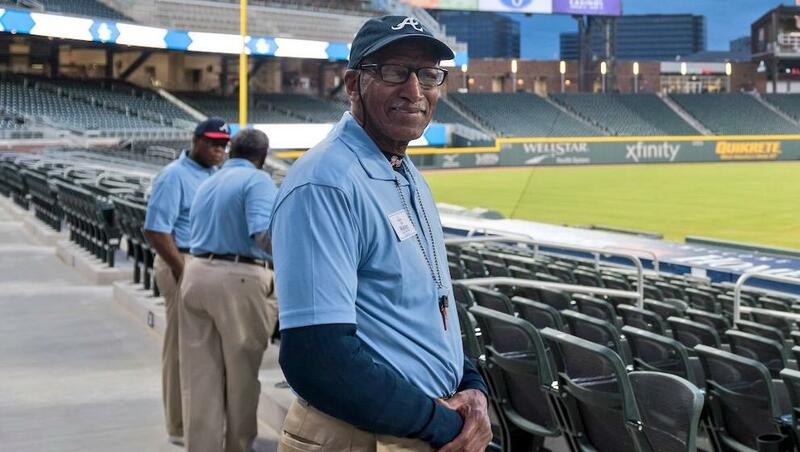 Case in point: Walter Banks, who is an usher for the Braves at SunTrust Park. … like, a really long time. When you’ve been around since Hank Aaron’s glory days, you know you’re an Atlanta institution. In fact, Banks predates the Braves themselves — his first season was with the Minor League Atlanta Crackers in 1965, which was the first season of play at Atlanta-Fulton County Stadium before the Braves officially moved there from Milwaukee in 1966. Since then, he’s seen numerous Hall of Famers perfect their craft on the field while raising championship flags left and right, including the 1995 World Series title. Now in his 54th year with the team, Banks at last has his own bobblehead. We couldn’t be happier for him. Andrew Mearns is a writer for Cut4 whose baseball obsession was born from the shattered dreams of Mike Mussina’s perfect game attempt in 2001. He has a startling memory of World Series highlights that barely functions as a party trick.